JSE-listed infrastructure development group Raubex [JSE:RBX] is expecting its earnings per share and headline earnings per share for the year ending 28 February to fall by at least 20%, it warned on Tuesday. 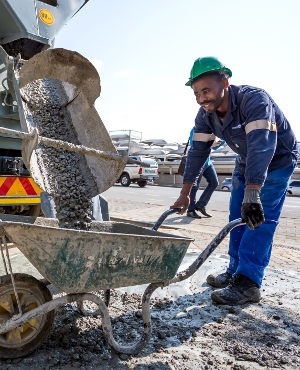 In its trading statement, it attributed the anticipated loss to "weak trading conditions" in the SA construction industry during the second half of the financial year, particularly in road construction, which impacted Raubex subsidiaries in road construction as well as road rehabilitation and maintenance. It responded by rightsizing the affected subsidiaries, the company said. The materials division, which contributed 54.5% of the company's total operating profit in the previous year, was stable in the current year and diversified operations, supporting the company's earnings, Raubex said. More favourable conditions were experienced in the infrastructure division, particularly in the affordable housing sector and relating to the rollout of work relating to REIPPP, the statement said. Three REIPPP contracts valued at R621m in total were secured by Raubex during the year. "Notwithstanding the challenging conditions being faced by the South African construction industry, the company has maintained a strong balance sheet throughout the year and is well positioned to participate in any future opportunities in the sector should conditions begin to improve," Raubex said.